STATS DAD: Youth Basketball: College Bound? 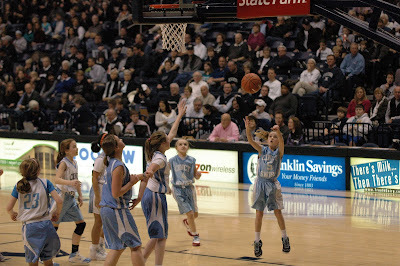 THAT'S MY GRANDDAUGHTER WHO MADE THAT SHOT! That's what I would have been yelling if I were one of the 2500 in attendance. You see, I am CC's proud Pop Pop.